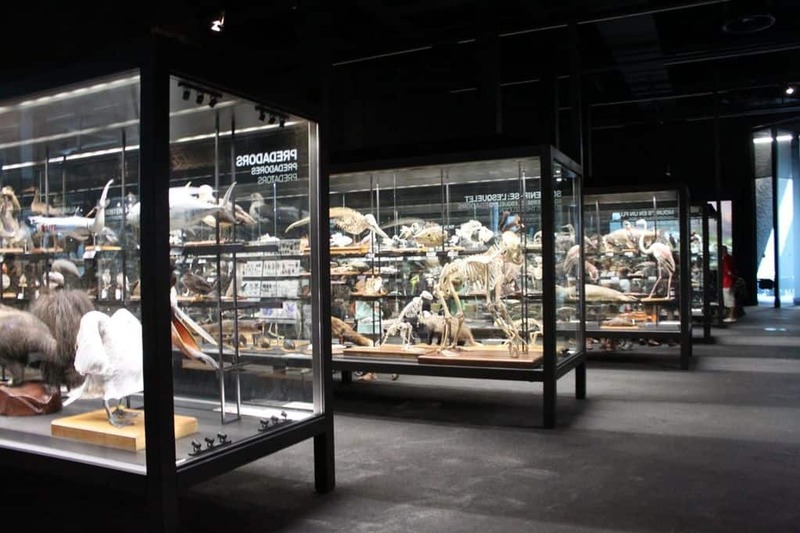 Located at Barcelona’s modern Parc del Forum, the Museu Blau’s other moniker is the Museu de Ciencies Naturales (Natural Science Museum). 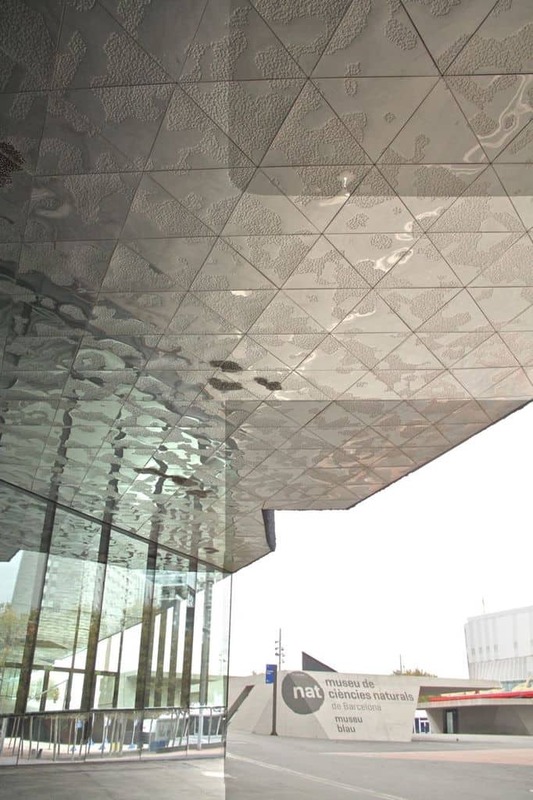 The new museum, which found its new home in 2011, is in a massive space of 9,000 square meters. 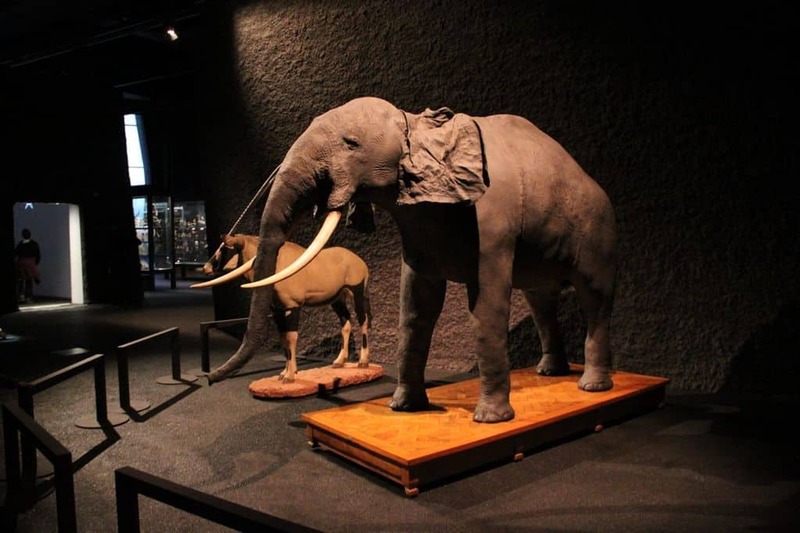 The permanent exhibition of Museu Blau is Planet Life, which explores all past forms of life: the microscopic to the behemoth, the prehistoric to the modern-day. 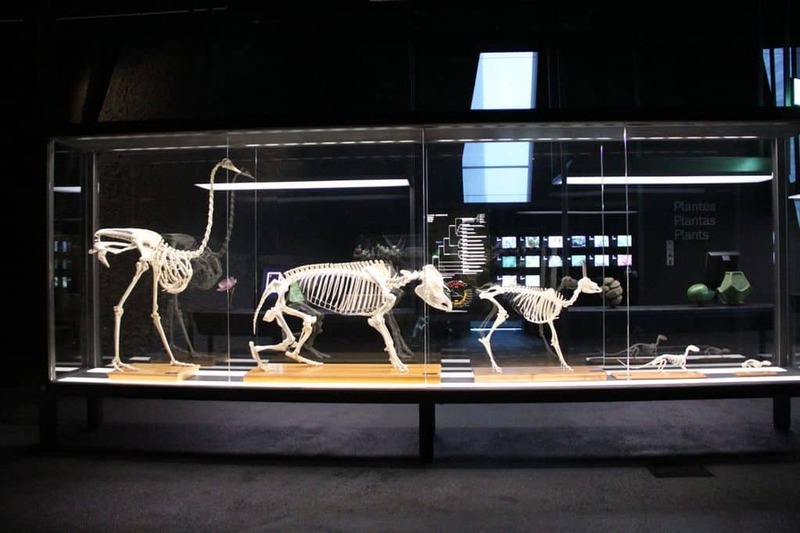 My favorite part is the extensive collection of taxidermied animals in their glass casing. While I wouldn’t be able to stomach a Human Bodies exhibition, THIS I can do. Let’s take a closer look, shall we? 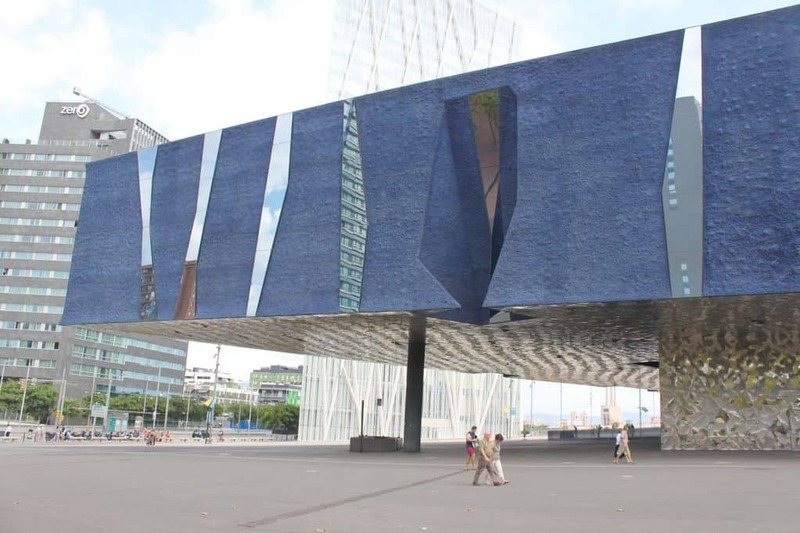 Museu Blau means “blue museum” in Catalan, and blue it is. 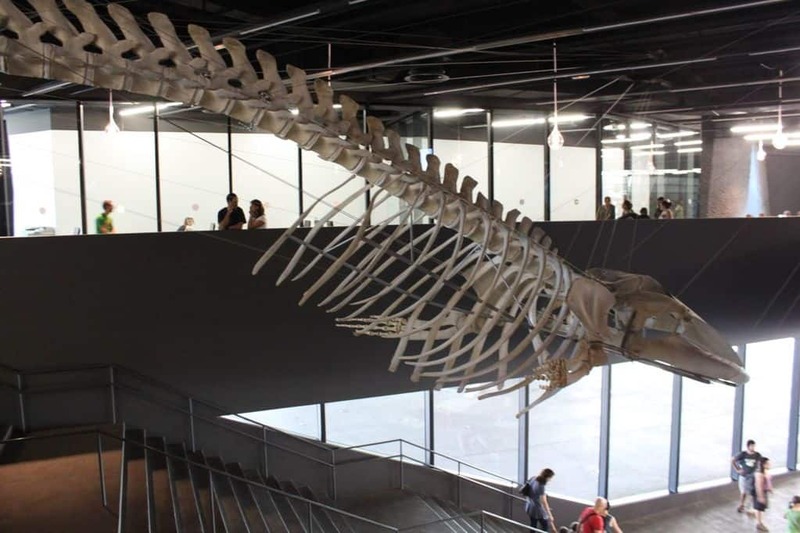 Suspended above the staircase, a huge replica of a whale’s skeleton greets visitors. 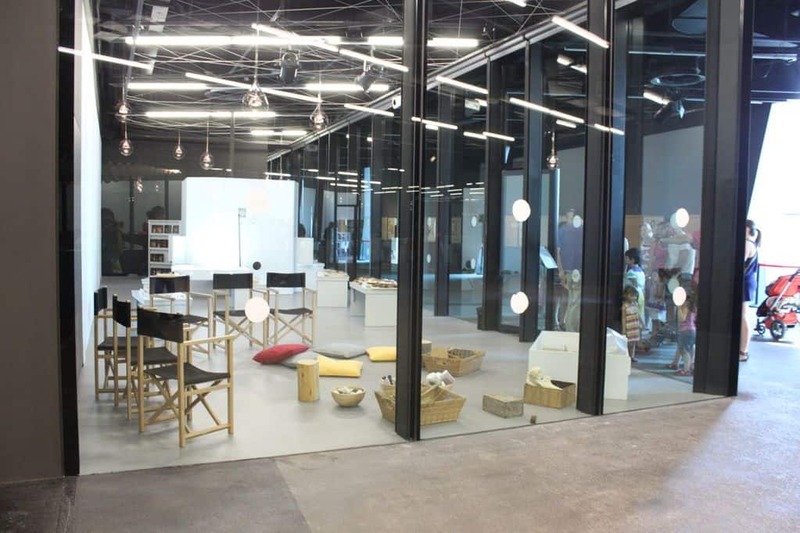 For children who can’t keep their hands to themselves, the Nido de Ciencia (Science Nest) gives kids an educational sensory experience. 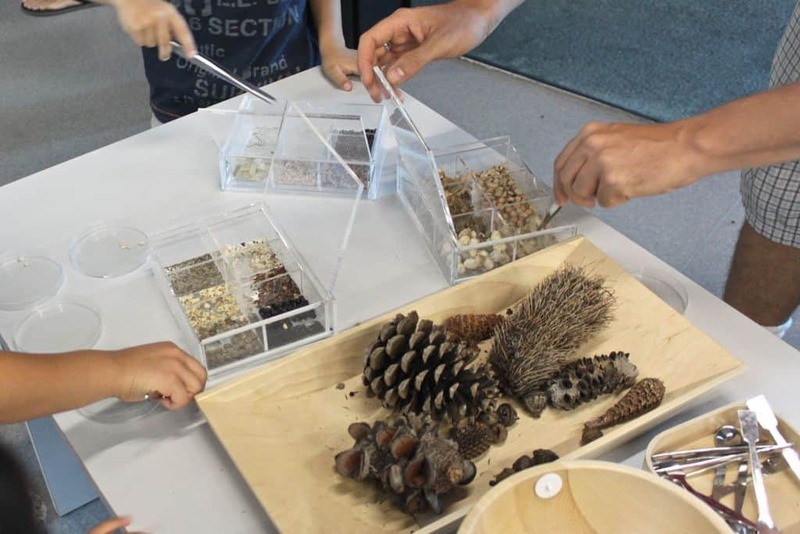 During a 30-minute session, kids (and parents) can smell leaves, touch different animal skins, or see microscopic creatures in an enclosed space. 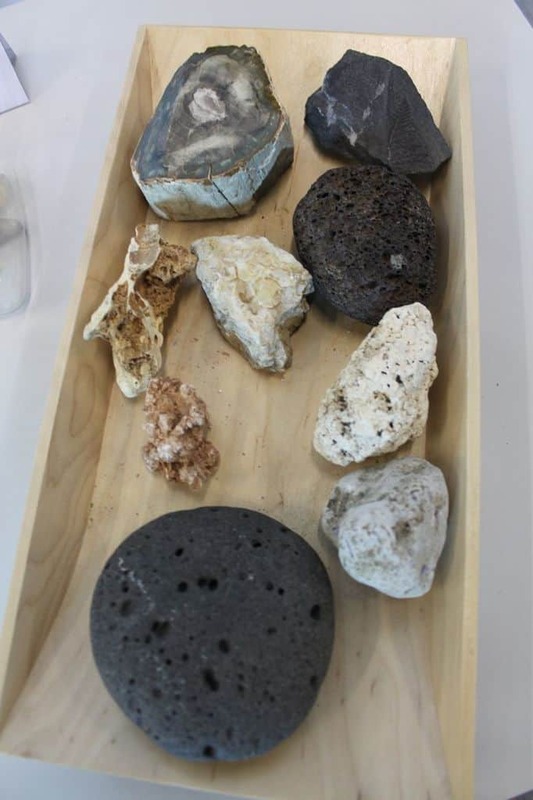 Can you identify these rocks based on their color, structure, hardness, grain size, or specific gravity? 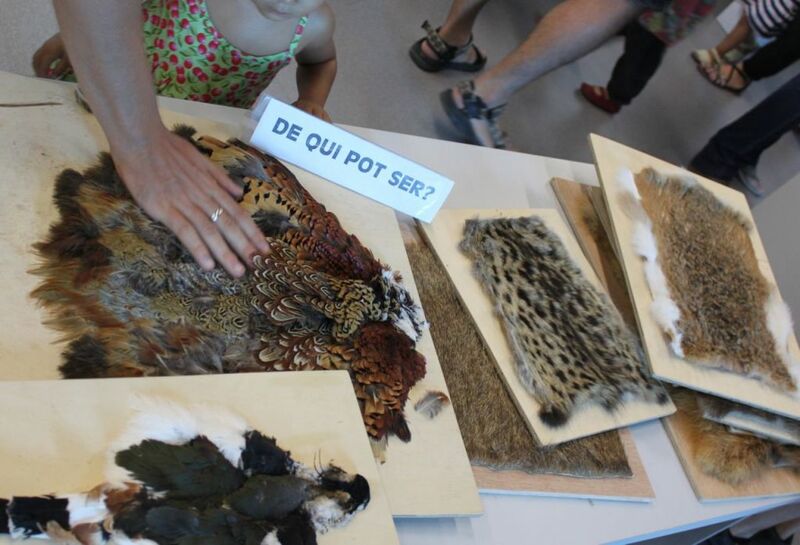 Different animal skins and feathers that you’re invited to touch. Do you know which animals they could belong to? Oooh, I’d love to see a larger version of these draped across my sofa (a fake one of course). 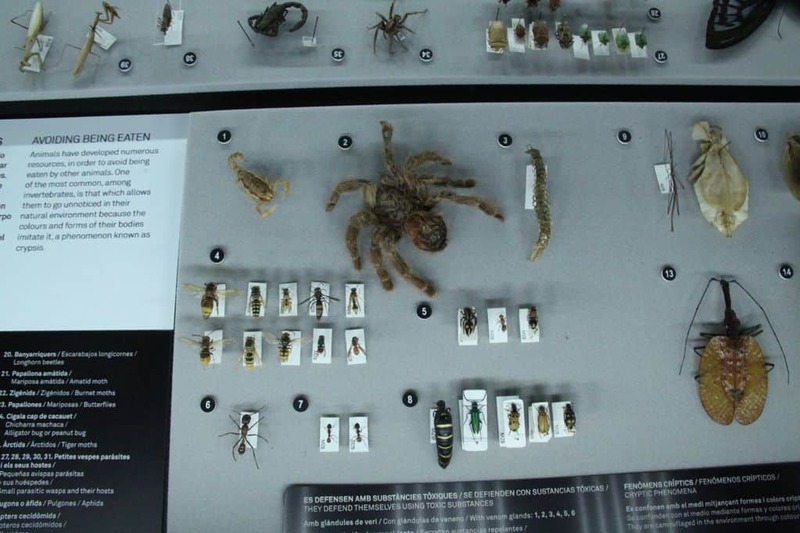 You’re encouraged to pick up specimens with your hands or tweezers. A poisonous tarantula, snippy scorpions, and other creepy crawlies you don’t dare getting next to in real life. And as I mentioned above, the taxidermied animals! Prepared, stuffed, and mounted just so we can get upclose and personal without getting mauled. 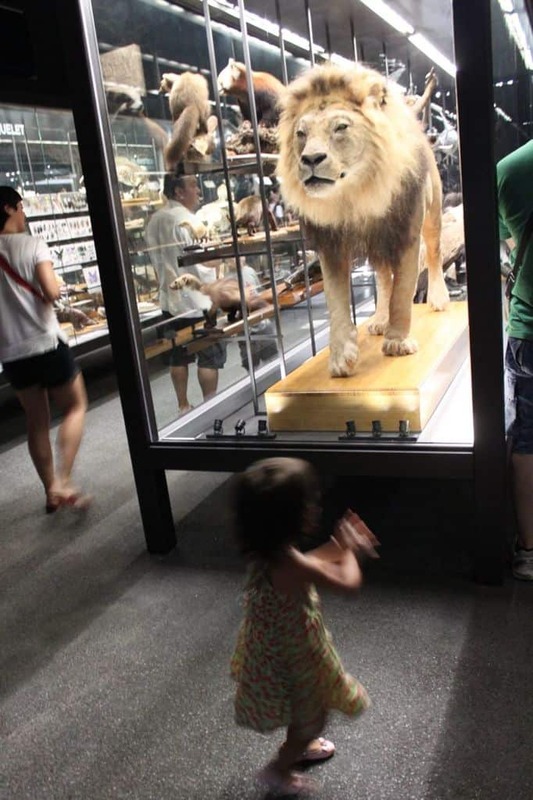 We’re not afraid of you…lion! 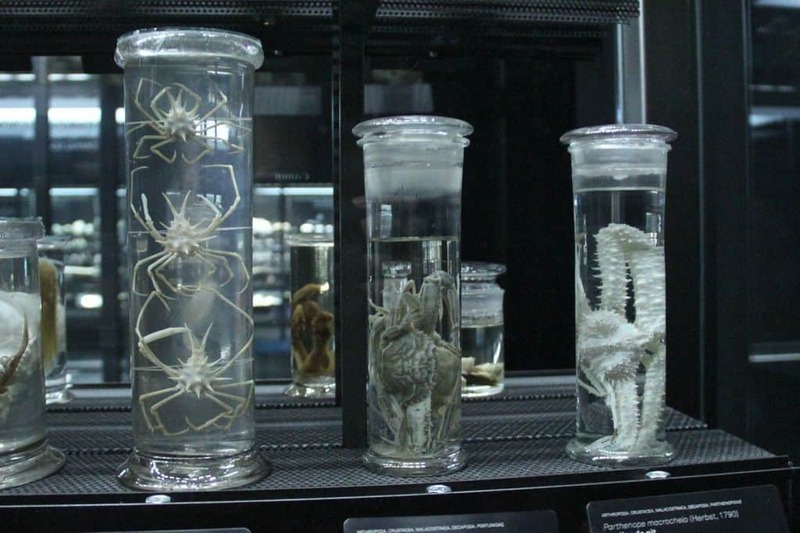 Spider crabs and other mollusky critters. 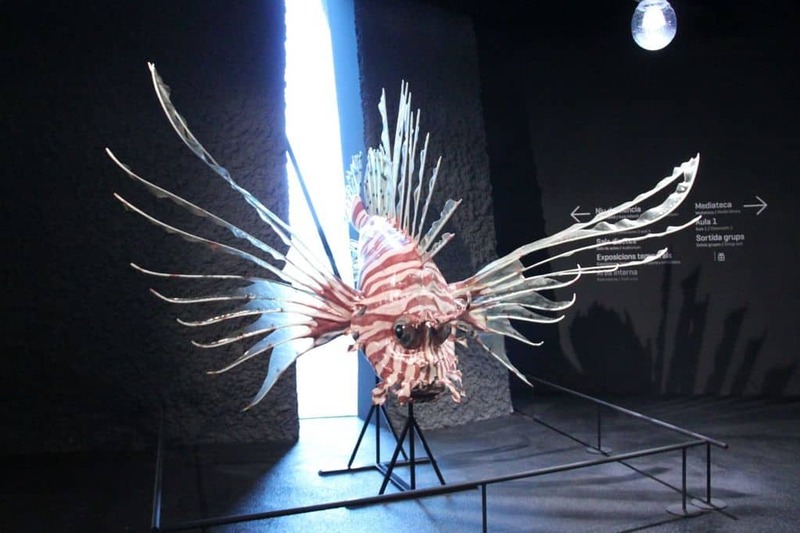 Could this strange fish really grow to the size of a human? 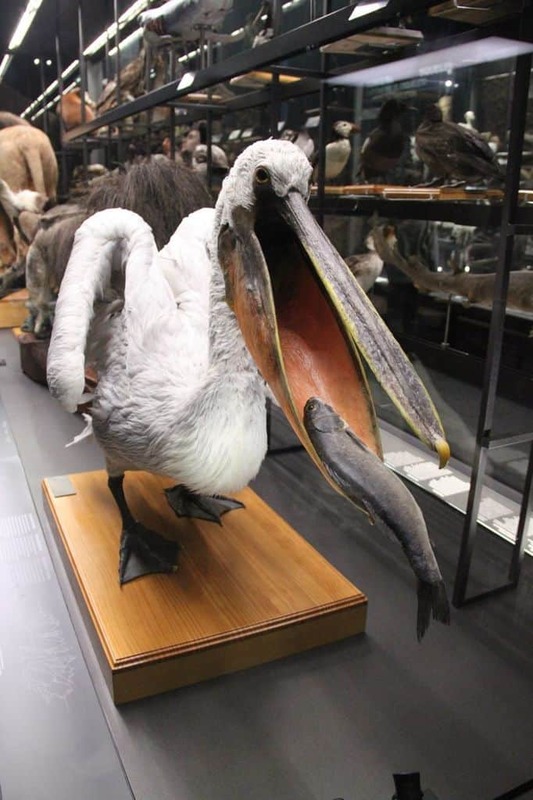 Another question is — what do these animals get stuffed with? 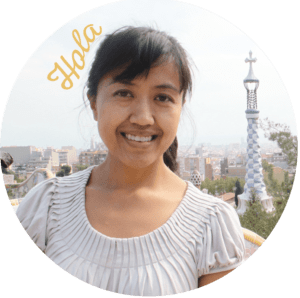 Museu Blau is FREE after 3pm on Sundays! We arrived in the morning, kicking ourselves when we found out. It’s still pretty inexpensive though. Prices and timetables/schedule here. Previous Post Parc del Clot and Its Magnificent Arches Next Post I’m on a podcast!